As an ex-international rugby player, ultramarathoner and ironman triathlete, Shona leads by example in JB Personal Training's quest to prove #thisgirlcan! Shona hails from rural Aberdeenshire (as a proud Scot her darkest secret is that she was actually born in Cheltenham - though try telling her that makes her English!). She discovered her passion for sport at an early age, encouraged by hugely supportive parents cheering on from the sidelines and taxi-driving to a myriad of sporting venues across Scotland. Growing up just down the road from the record-coldest place in Britain, she quickly realised that “there’s no such thing as the wrong weather, just the wrong clothes” – which would later become a much-loved JBPT mantra! Having represented Scottish Schools at athletics and North of Scotland at U-18 hockey, Shona switched to rugby whilst studying Physics at St. Andrews University. Relocating to Swindon in Wiltshire to pursue a career in the energy industry after graduating, Shona represented Scotland in the 2006 IRB Womens Rugby World Cup in Canada and several Six Nations competitions, playing at many famous stadia such as Murrayfield and Twickenham. During this time, she developed an understanding of the principles and techniques of strength and conditioning training followed by the national squad. This inspired her to gain her qualification as a fitness instructor and subsequently as a personal trainer following retirement from international rugby in 2006. 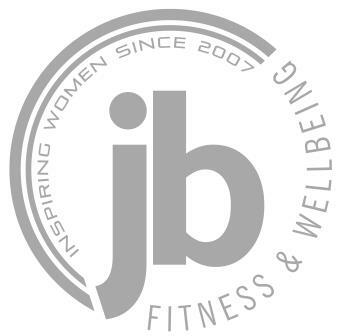 Having supported JB Personal Training on a part-time basis since its formation, Shona joined the business full-time in 2012. Shona specialises in personal training for weight loss, having qualified with Premier Training in Nutritional Advice for Weight Management. She encourages weight loss clients interested in running to progressively integrate running into their training. A UK Athletics Running Group Leader, Shona established Run JB in 2013. Run JB is designed to introduce beginners to running via its Couch to 5K running course which runs every three months. Shona is an advocate of the barefoot running approach, having recently transitioned to minimalist Vivobarefoot running shoes with great success. Having completed multiple marathons and two Cotswold 113 half-ironman triathlons, her recent challenges included the Cotswold 226 ironman triathlon in 2014 and the Race to the Stones ultramarathon in 2016. With years of personal experience in the enormous benefits of high intensity interval training, Shona recently became a certified Metafit™ Coach and instructs JB Personal Training's weekly Metafit™ classes in Lydiard Millicent. Shona Watt is an Advanced Level 3 Personal Trainer and a member of the Register of Exercise Professionals. She is co-owner of JB Personal Training with partner Julie Boyle.